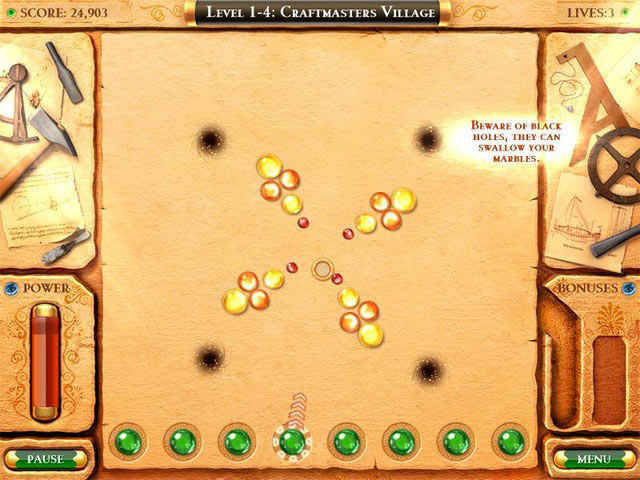 Embark on a great quest to build your skills and become a master of marbles. Gain recognition by seeking out competition with the greatest marble players throughout the empire. In marbles, a bright mind and cool temper aid masterful victory. Compete against the most revered men of the ancient era. Earn their advice, wisdom and marbles as tokens of success. Be sure to have Mount Olympus on your side because the challenge against your final opponent will alter the course of your life! 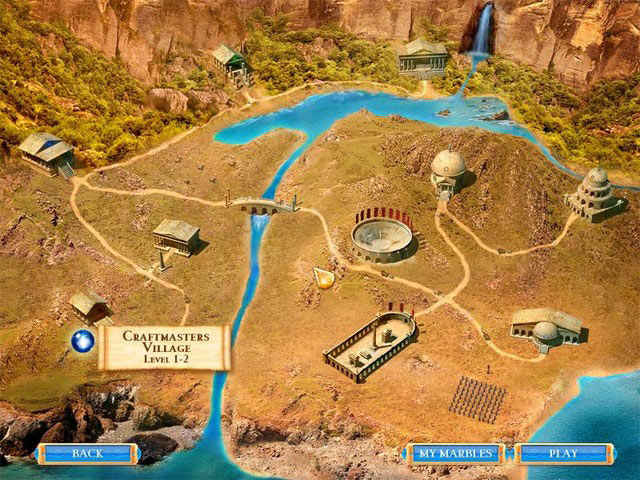 If you like Mythic Marbles game, click to start Mythic Marbles download. 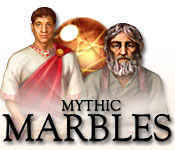 Sign-up to get informed when the Mythic Marbles series has new game released with BD Studio Games' FREE bi-weekly newsletter.